Selecting qualified candidates to consider for hire often comes down to subtle vibes and impressions received by the hiring manager from each candidate. This is because resumes for top candidates often mirror each other in these regards as to make them somewhat indistinguishable. And while these items are obviously important, special industry certifications can be the significant detail that differentiates one candidate from another and determines which one gets the job offer and which one gets a pass. Given that each industry sports its own set of specialized credentials, it is crucial to explore what is out there and figure out which certifications are currently most attractive to potential employers in your field. Not only do certifications strengthen resumes but they also typically lead to increased salary expectations. In fact, in some industries, such as Human Resources, the median salary can increase between $7,000 and $20,000 for candidates with PHR and/or SPHR certifications. And not only can employees in professional fields enjoy the benefits of certification, but a wide array of tradesmen and laborers can also bullet point their abilities with skills assessments, operation licenses, and other certifications. Software proficiency certifications can also work to showcase your skills and competence even if they don’t directly impact your job performance. The first step in diving into the realm of professional development is to research which professional organizations are cognate with your field of expertise. Another source of information about potential certifications are recruiters and hiring managers from employers who turned you down for employment. You can also search through industry job boards and list which certifications are frequently listed. Once you’ve researched them, you can decide which are most relevant to your job search. Like any other educational opportunity, certifications cost money. 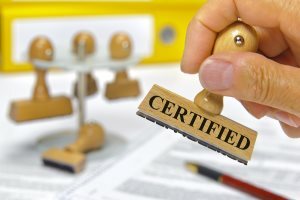 Once you have figured out which certifications to shoot for, it is time to prepare your finances for the impact the certifications will have on your wallet. You should also create a reasonable timeline for the completion of your education so that you allow yourself time to suitably prepare for certification while maintaining your current level of job performance. You can often take practice tests that allow you to familiarize yourself for test formats and range of knowledge required to succeed. However, many of these tests require a further financial commitment. But be aware that not all certifications require testing or even a financial investment. Sometimes you need only some type of official training and supervision (think driving certifications) to obtain licensure or certification.